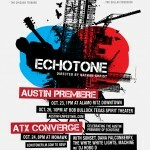 We’ve got a little info here about a sweet event going down at Mohawk on Sunday night to celebrate the Austin premiere of new Austin made documentary film Echotone. 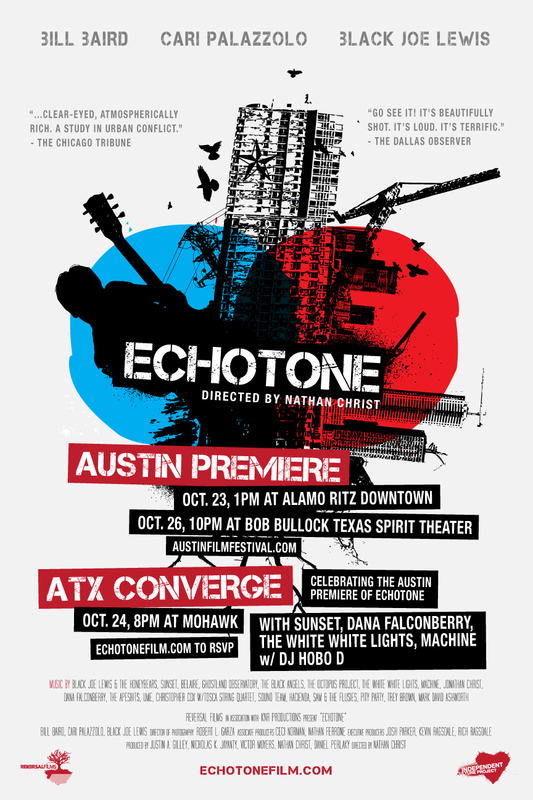 The incredible and heart felt film focuses on the Austin music scene, the artists within it, how they can make a living, and what their role is in this ever changing city. Those interested in seeing the film have a chance Saturday at 1pm @ The Alamo Ritz downtown or Tuesday at 10pm @ The Bob Bullock History Museum. Your party Sunday night at the Mohawk features music by Sunset, Dana Falconberry, The White White Lights, Machine, and DJ Hobo D. More information on this film, screenings and the premiere party can be seen on the Echotone website or on that fancy poster. 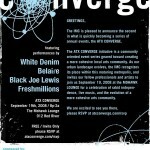 We just discovered that the White Denim show posted on the Mohawk website is actually a free by RSVP show put on by ATX Converge. 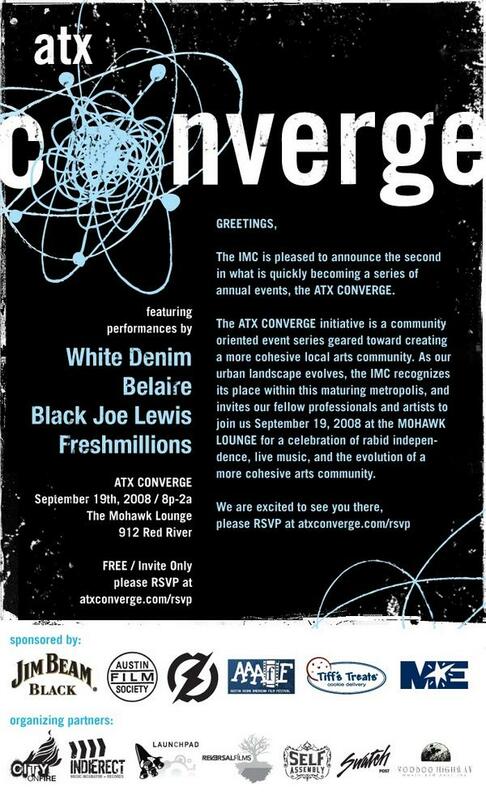 The lineup is pretty dang impressive: White Denim, Black Joe Lewis, Freshmillions and Belaire will all be on hand. The show isn’t until Friday, but you better RSVP now before the window closes. Make sure you get in line early since those RSVPs rarely guarantee you get in anything. Doors are at 8.